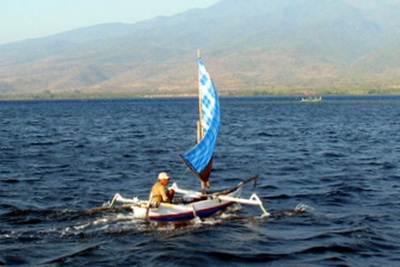 Outriggers and proas and double outriggers and sandeks and trimarans. They're everywhere in Indonesia, and especially in Lombok and Bali. 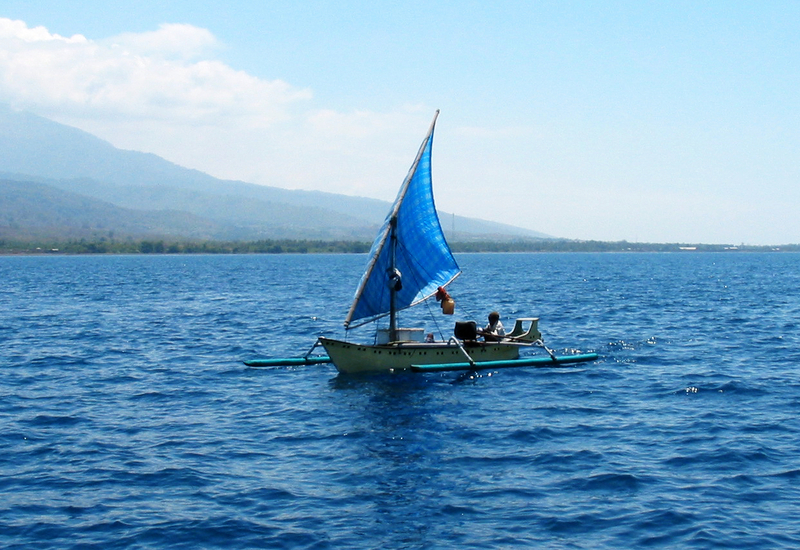 This has to be one of the smallest working trimaran fishing boats anywhere on Earth! The volcanic cones of this "Ring of Fire" present a dramatic backdrop for these sailors with their working trimarans. That looks like a "longtail"
auxiliary engine on this one! 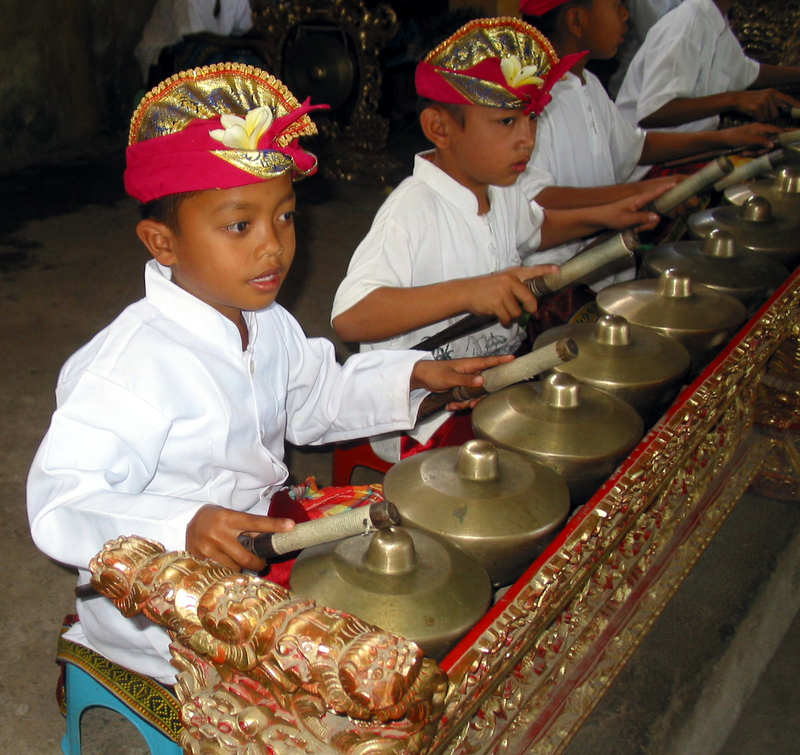 Bali was the most stunning feast for all the senses. It's BUSY! Even with tourism in a relative shambles thanks to the idiot bomber fanatics, this place is jumping! It takes a little bit of "doing" to get away from the crowding and traffic and busy-ness of the place. everywhere and at every turn. even through what could have been its overwhelming richness. 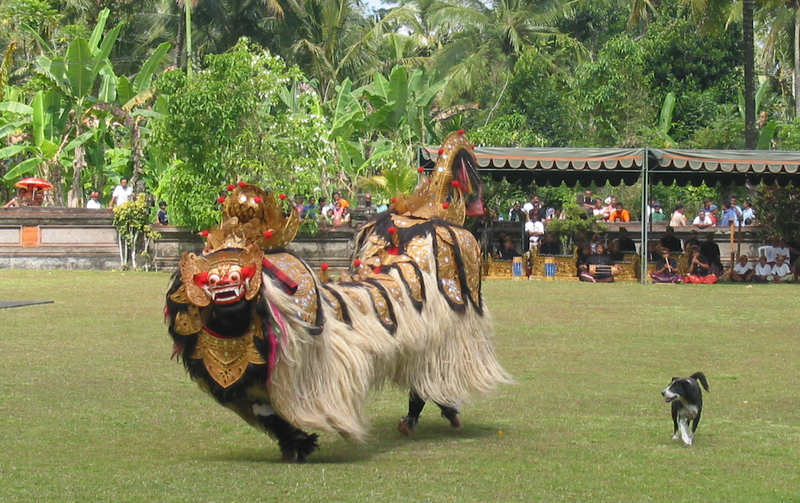 This borong was part of a cultural show for us on a Rally free tour. 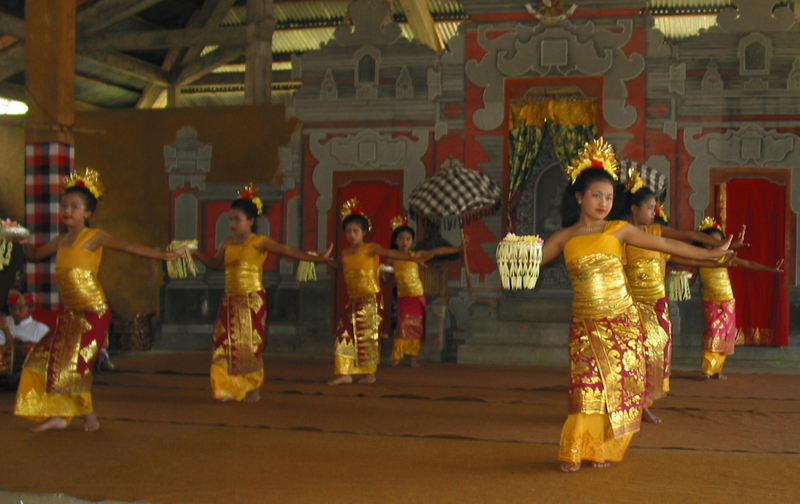 Millions of "sacred bats" live in the temple's caves and they fly out around sunset, just like normal bats! In addition to the sacred bats, it also has Sacred Pythons living it it. And they work to keep the bat population in balance with themselves, by feasting on them. 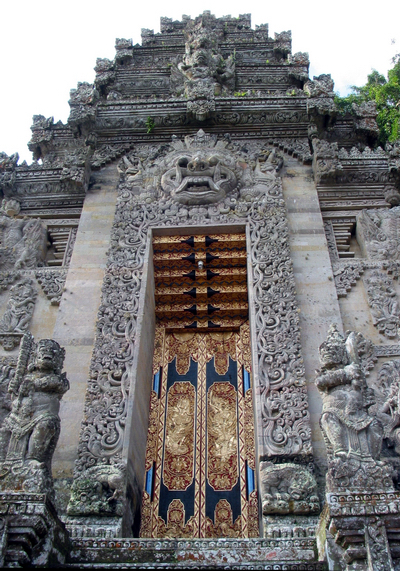 As everywhere in Indonesia, the NAGA is ever present in Bali as, here, in the Bat Temple. Nagas are dragons or serpents in the regional mythology, and they are always benevolent. So having a boat named NAGA proved to be very popular with all the locals and a great choice of names! 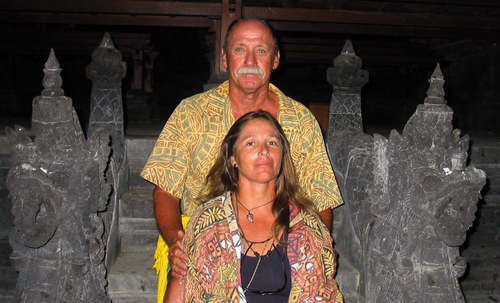 Here are Chrissi and Jack at the Bat Temple, between two stone statues of Nagas. with the Rally's free tours. Young musicians in this Gamelong band accompanied the young dancers above. 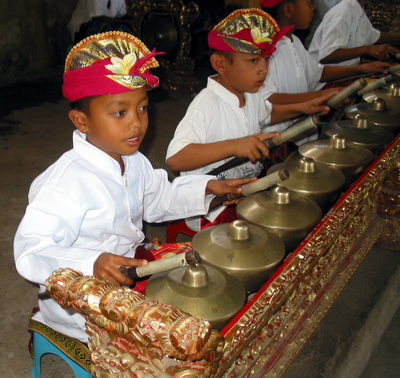 Jack was surprised to experience a developing love and appreciation of the quite exotic musical form. 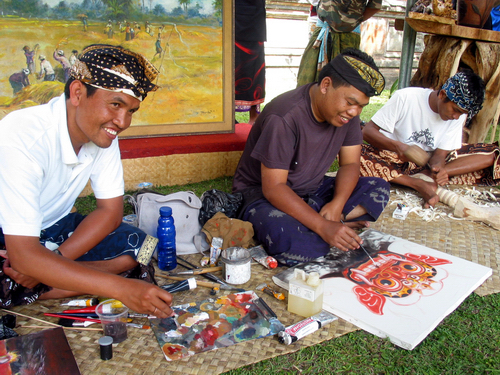 of artists and artisans of any place on Earth. 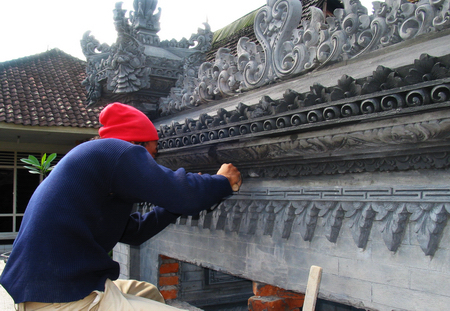 Every detail by hand, and beauty in the eye wherever you cast your glance. 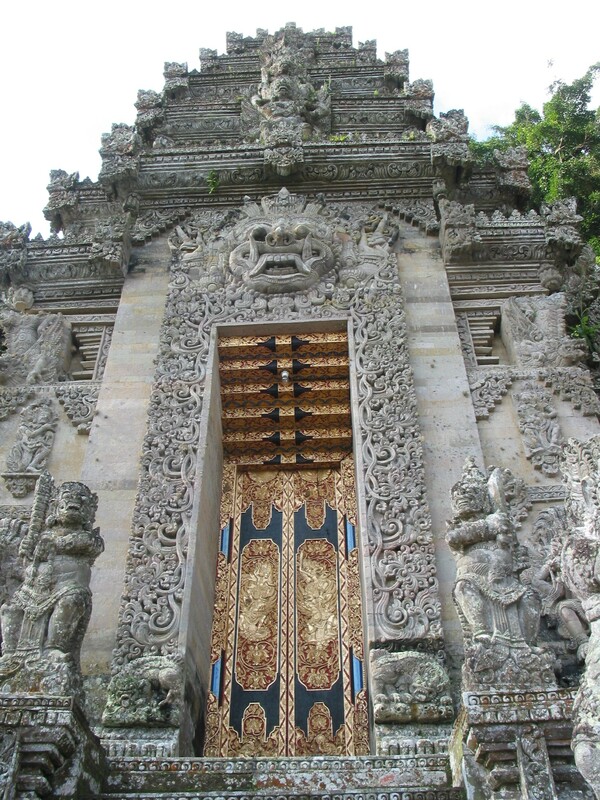 Just a small part of this huge temple complex in Bali. 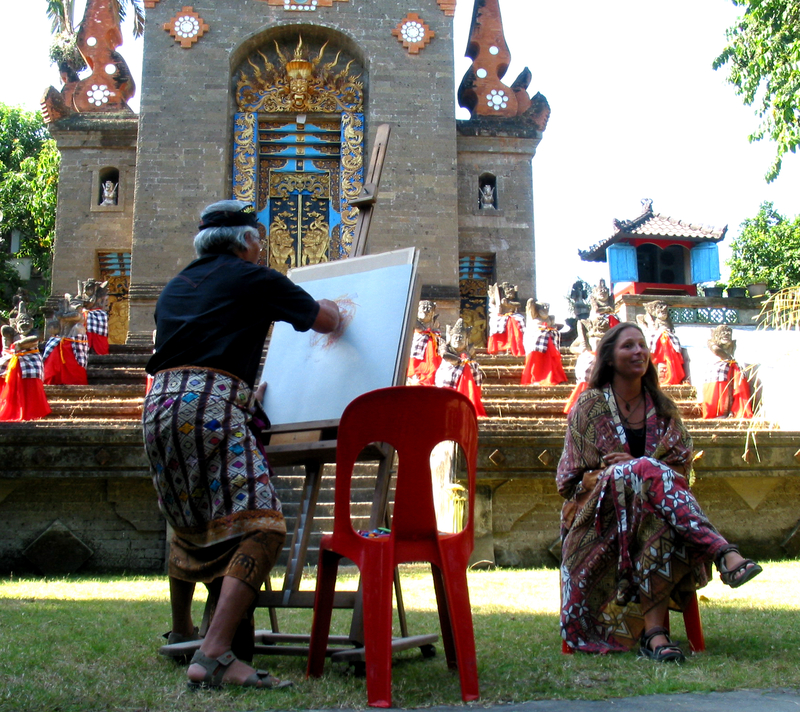 Chrissi was selected by Indonesia's most famous living artist, Nyoman Gunarsa, to have her portrait done, which was then given to her as a surprise gift. This was a great free tour! 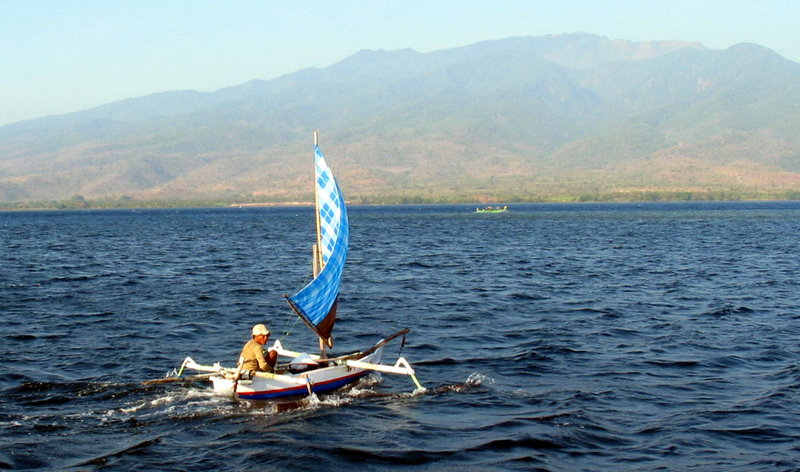 our Sail Indonesia Rally fleet. 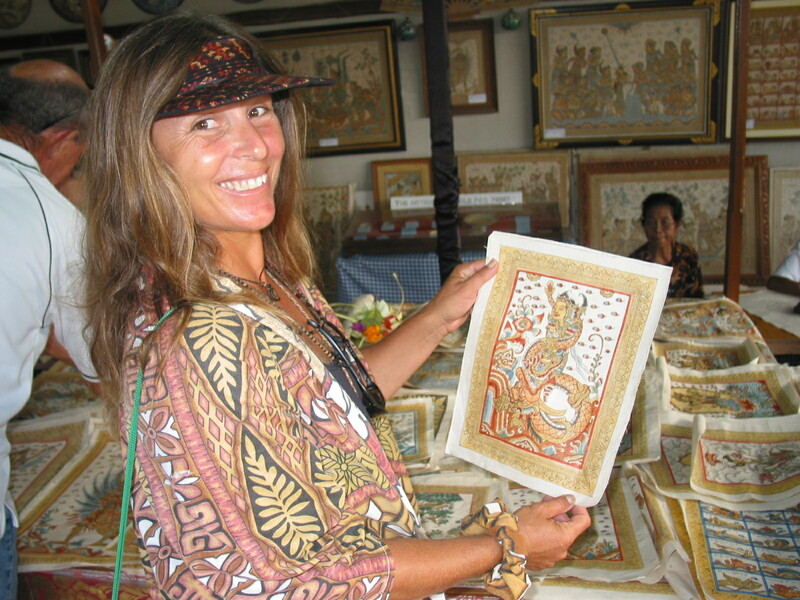 Enjoy some books about Indonesia!